How does a video game go from being the absolute worst entry in a cherished franchise to becoming Game of the Year caliber over the course of a single year? You’ll have to ask Square Enix, because that is exactly what they are declaring with the Final Fantasy XIV: A Realm Reborn Game of the Year Edition, which will be released in November. This new physical version of the game will only be destined for the PC, so way to stay with the times on that one, Square Enix. Who buys physical PC games anymore? Well, for one, people who want swag! That’s who! 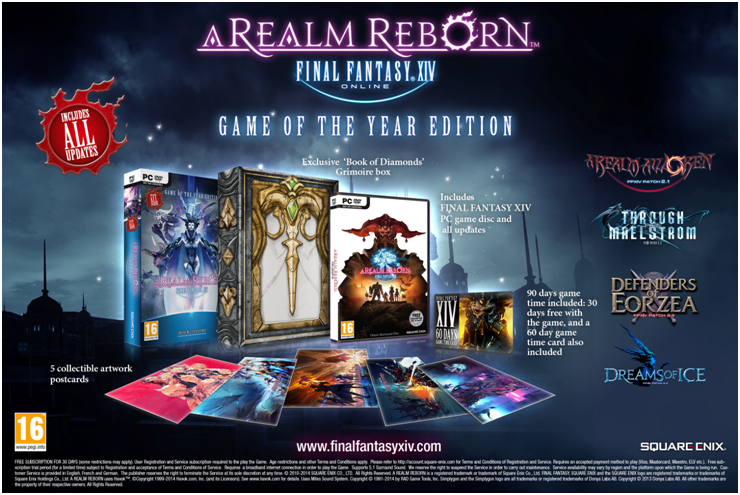 Final Fantasy XIV: A Realm Reborn Game of the Year Edition comes with some extra goodies in the box as well as every expansion pack and a month of free play. Square Enix has really done a fabulous job of establishing itself as a key player in the MMORPG world. Final Fantasy XI is over a decade old and still sees both regular updates and profits. Dragon Quest X is picking up with releases on just about every viable platform in Japan, and only Japan. 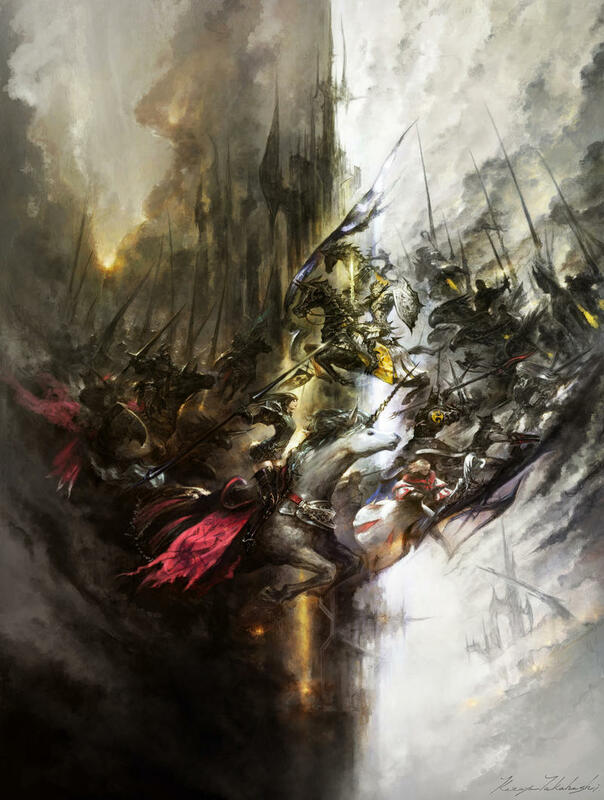 Final Fantasy XIV: A Realm Reborn has seen nothing but praise for its adherence to the classic lore, inventing new and wonderful ideas for the MMORPG genre, and for successfully relaunching a train wreck of an MMORPG, Final Fantasy XIV: Online, from scratch. What other company out there has three major and viable MMORPGs on the market? I wouldn’t quite put it on a pedestal of “Game of the Year” or anything like that, but if you’ve been tempted to play, this could be a decent chance. 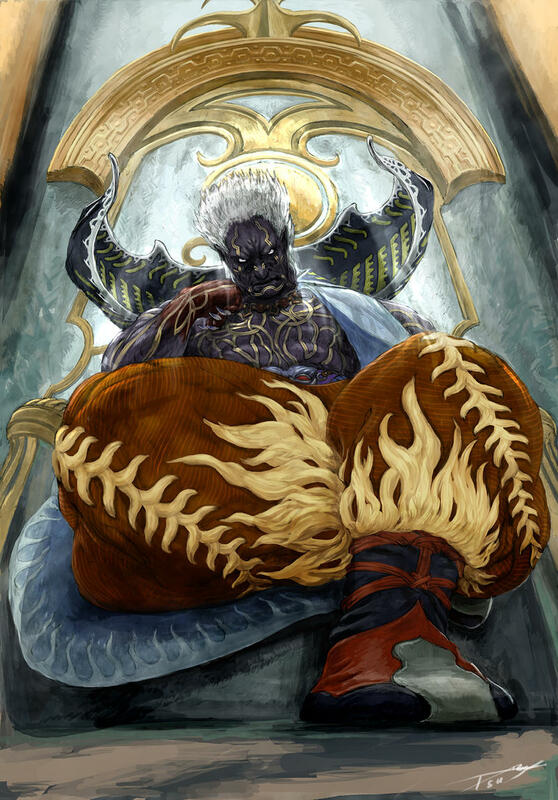 Final Fantasy XIV: A Realm Reborn is a lot of fun and is probably the best Final Fantasy game in about a decade. Be sure to check out the Game of the Year Edition on November 14th for PCs.